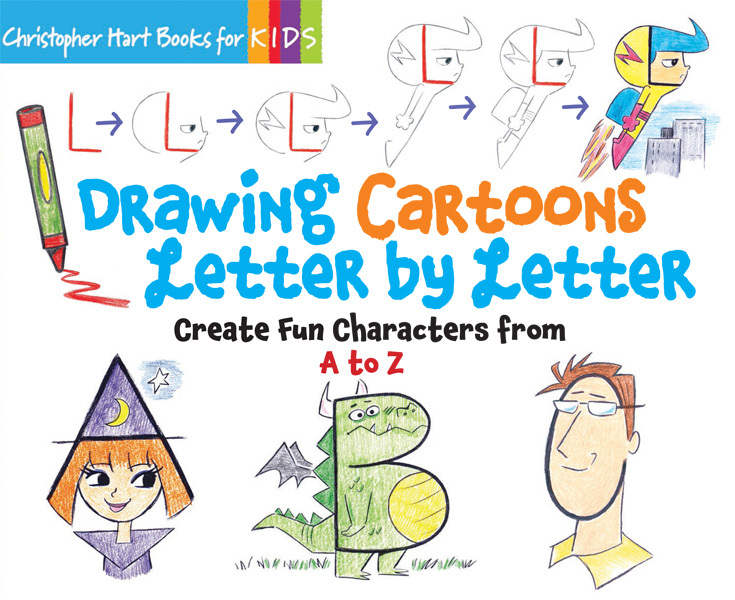 In Drawing Cartoons Letter by Letter, best-selling author Christopher Hart offers a new take on his hugely successful Drawing Shape by Shape series by showing how to draw a wide variety of cartoon characters starting with simple letters and numbers. With these charming tutorials, Chris offers an inventive collection of all-new artwork, cleverly turning an A into a clunky robot, a B into a, well, buzzing bee, and a C into a chomping dinosaur. Every letter of the alphabet is represented in both upper and lower case, as well as numbers 0-9. 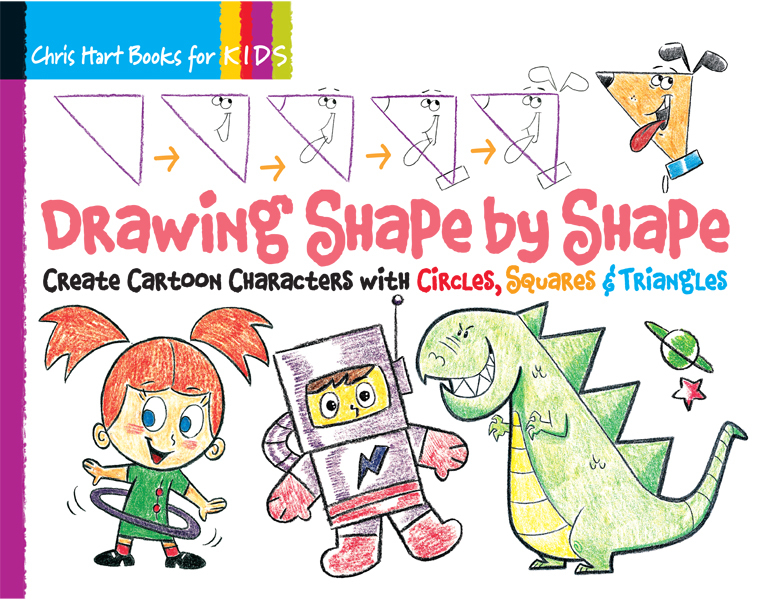 These inventive cartoon characters are a cinch to draw with Chris's easy-to-follow, step-by-step instruction, and a great way to engage children with letters, numbers, and art. Fans of the Drawing Shape by Shape series will be delighted by this latest addition, created in the same artistic style of the previous books and with the same covered spiral binding for easy use. The ABCs have never been more fun!